Up, up and away – Or at least that’s what these guys would want you to believe. No, these super heroes and heroines are a little bit more sad than their usual kind. Take for instance Superman. He’s the kind of guy who doesn’t need to be afraid of much. He flies around, shoots heat lasers out of his eyes, can bench press entire planets and has literally unlimited power. In his real life he gets with the girl of his dreams and to make matters better, he’s a freakin’ alien who Earthlings don’t go “AAAH!” whenever they encounter him. But that’s not always true in the world of super heroes. Instead, some of them have really rather tragic backgrounds, or powers that really make you question your sanity and if you’re reading (or seeing) correctly. Some of the heroes we’ve assembled are literally useless. But that’s fine. We love them as heroes regardless. 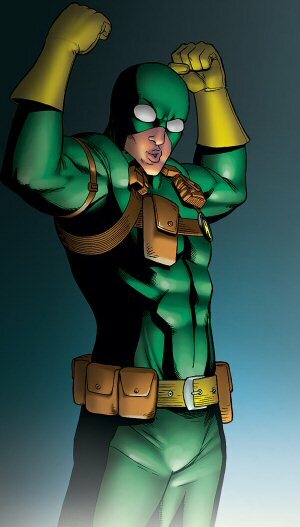 So read on, for this weeks Top 10 is on some of the most Unfortunate Super Heroes. 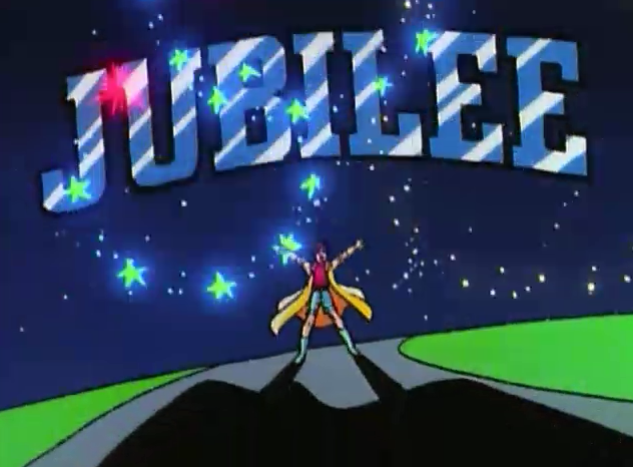 Sorry Jubilee, but your genetically induced ability to make sparkly lights is not impressive, no matter how 1980’s you make yourself appear. In a super-team with people who can generate lights that do a great deal more damage than a few fireworks you’re not going to be much more than a distraction with a strong southern accent. There are more tragic X-Men for sure, many with more heartbreaking backgrounds than even being orphaned and living in a secret hideaway, but most of those X-Men have the advantage of being a useful and functional member of the world-saving race of advanced humans. You may be a vampire now, but let’s face it “Jubilation” you started your career as a human sparkler. 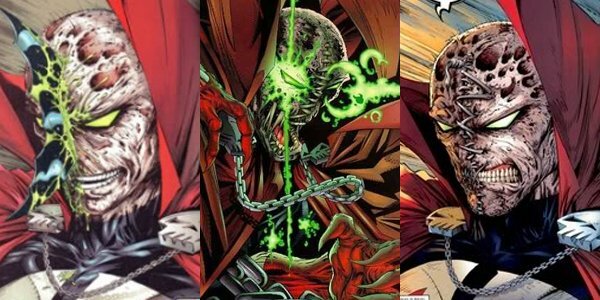 Spawn is awesome, that’s a fact. He has a battery of powers that would let him pass as a DC character in a pinch, he can practically do anything between his living armour, shapeshifting cloak, limitless chain weapons, the traditional strength, reflexes and healing. So why is Spawn on this list? The powers were given to Al Simmons by the devil Malebolgia after he was burned to death. Managed by his “agent” the clown known as the Violator, he is taught that he is a servant sent to drag sinners back to hell, and if he works like a good boy he gets to see his wife again, although you do have to wonder, will he have to keep his gross burned up face for the reunion? And Wanda’s new husband – Al’s best friend Terry – might get a little upset about the whole thing. Poor Kotetsu. Born to be the man who gets overshadowed by his younger, more good looking protege. 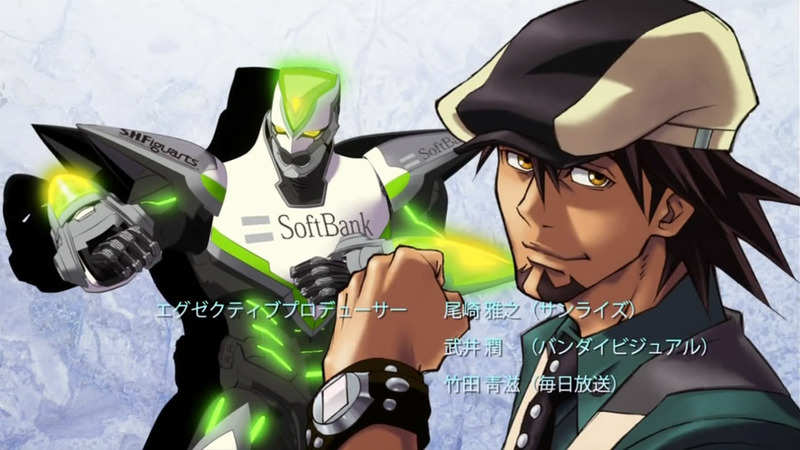 He’s Wild Tiger from the amazing anime/manga series Tiger & Bunny, which I wrote a review for a long time ago. I might have to go back to this review one day to make sure that I still agree with it. The story of Tiger & Bunny features Super Heroes called NEXT who take part in a competition that’s televised known as Hero TV. Kotetsu is just trying to get by in life. He believes in all that’s good, but his hot headed new partner in crime-fighting has an entirely different view on how to deal with criminals. As such, the two are constantly bickering. Kotetsu finds Barnaby, his partner (Bunny) to be irksome. Also, whilst Kotetsu means well, he really does more harm than he does good. Often whenever he gets money for his appearances on Hero TV, his pay is docked for the amount of structural damage he caused the city. More instant Ramen for you, Tiger. So far as origin stories go, Dave Lizewski has one of the saddest. “I was trying to be a hero, got beat up and then got hit by a car.” Bright side, once he’s recovered his damaged nerve endings leave him barely able to feel, making his second attempt at heroism far more successful! He takes his beating and doesn’t go down, he just keeps fighting back. Doesn’t make him any less clumsy, embarrassing, ineffective, or impervious. Fights still hurt, he still can’t really swing a proper punch, and he’s still laughably socially awkward. Side by side with Hit-Girl and Big-Daddy only makes his flailing more obviously amateurish. It all makes for a good film (two good films actually) but it doesn’t stop you from feeling pretty bad for poor Dave. 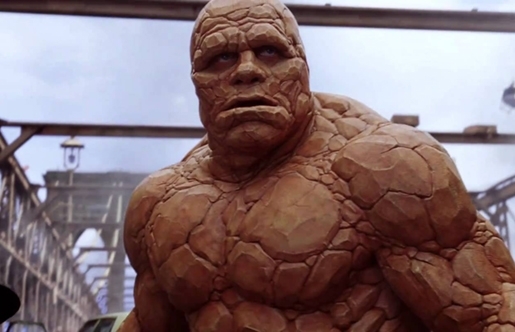 Ben Grimm has come to terms with his new appearance over time, but his super-life did not come easily to him. While his friends got powers that left them perfectly able to walk around and function in public (so long as Johnny keeps the fire in check around people) Ben is coated head to toe in hard stone, and that doesn’t just switch off. He lost his wife, he lost his ability to walk the streets, fell into the inner circle of criminal master The Mole Man, accepted for his ugliness. Not the only villain to manipulate The Thing either, as Angrir; Breaker of Souls he is an agent of destruction controlled by one of the seven fallen Asgardian hammers. When your super powers develop in the X-Men series, you’re not some revered super hero or super heroine. Instead, you become a freak to the world. You in fact become what they call a Mutant. 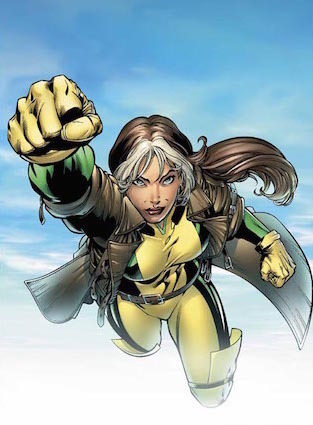 One of these so called Mutants is Rogue, whose name implies she’d have a bit of a shifty touch to her right? Well you’d be somewhat right there. If you’ve never heard of this character, you’ve not paid much attention to the X-Men franchise! Basically, her power is… She drains the life force… and indeed the powers… Out of whoever she touches. When she was a teenager, she was enjoying her time with her close friend Cody who seemingly liked her. So he went in for the kiss, which is perfectly normal with teenager hormones and all that jazz. What isn’t normal is when kissing the someone you like permanently puts you in a coma. That’s what Rogue did (unbeknownst to herself). So whilst her power is one of the most amazing powers in any super hero franchise, she’s also got a terribly tragic background. She cannot physically touch someone without nearly killing them. It’s not all bad though… In the comics she completely absorbed the ability to fly. But why does any of this make him unfortunate? This is a weird one, but his powers doesn’t make him unfortunate. Neither does his background, as he has a very cool story behind him. He has one of the best weapons ever too in his trident. What’s left? The damn media that put him on our screens. They made him out to have a power of literally talking to fish. I mean, “I’ll save you, I’ll talk to my fish friends.” Really!? Are you serious!? 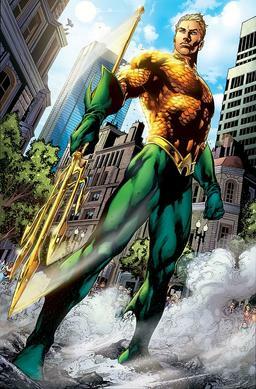 For a mighty king of the seas… Aquaman, you sure are an Aquadork. Part humanoid, part plant, The Thing has evolved over time to be from a hunched over shambling monstrosity that he was into some ripped monster of justice. But Swamp Things life wasn’t always like this. He was basically betrayed by his colleague, who wanted to, I kid you not with this, take Swampys wife. He wasn’t always an elemental swamp creature, but he was originally Alex Olsen, a scientist who was caught up in an explosion. This somehow transformed him into the beast that is Swamp Thing. So he goes to get revenge on his old colleague by killing him. However, when Alex sees his wife, she cannot recognise him. He’s not Alex any more, so he has to move on. It’s really quite a sad background, but couple this with the fact he’s literally part vegetation right now, you can’t help but empathise with the guy. For one, he was almost killed by a colleague just because his colleague wanted his wife. Then he was transformed into a hideous shambling monstrosity who never gets to love again (to my knowledge). Finally, he gets his revenge but at what cost? 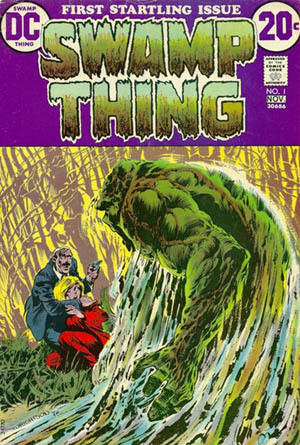 Oh yeah, plus the writer didn’t even have a name for him, having been quoted to have said “I didn’t have a title for it, so I kept calling it that swamp thing.” Now that’s the ultimate insult. Created by a creator who won’t even give it a name. Well Alex Olsen, Swamp Thing, Swampy, you’re one of the best! Oh but don’t even bother to watch the series. He’s not a sidekick. Oh sure, the Tick is the muscle, all of the muscle in fact, Arthur in a fight is about as useful as a paper bag in the exact same fight. And the Tick is the one with all the actual super-powers, Arthur can kind of fly with his suit but even then he’s not great at it. But he is not the sidekick! The reason: for all the muscle the Tick provides, Arthur is the brain. 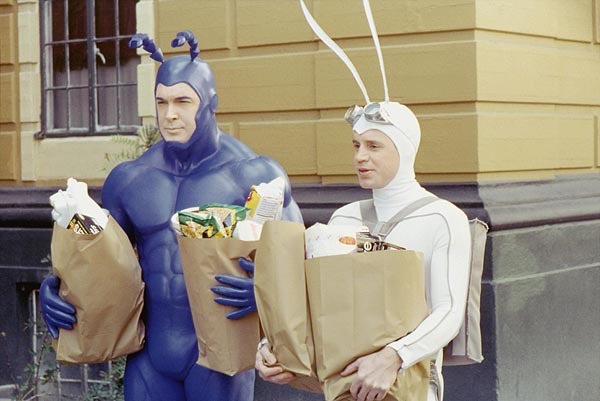 The Tick argues with plumbing, has a harder time with metaphors than Drax the Destroyer, and greater difficulty with basic day-to-day functions than a two year old. And he’s lumped himself with this optimistic try-hard in a bunny suit (sorry, moth) making Arthur the babysitter of the world’s most destructive toddler. You thought Jack-Jack Parr was dangerous? He’ll grow up and learn his vast array of strengths. Arthur’s charge is a wrecking ball with a cheerful smile, and doesn’t look set to change any time soon. Now The Spleen does not consider himself to be unfortunate, and in truth this entry should really be listed as “everyone around The Spleen”. He’s not all that dangerous, but he’s not a hero you want to be on the wrong side of, and believe me, The Spleen has a wrong side. The power of this Mystery Man hero is a potent chemical weapon, surprisingly accurate and effective at long range, the gypsy-curse induced knock-out farts! There’s a reason Blue Raja and Mr. Furious were not keen to team up with him. You daren’t shake the man’s hand for fear of pulling a finger. 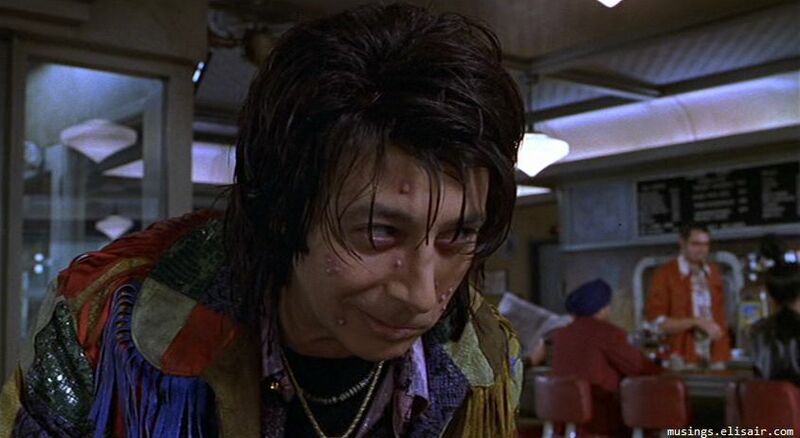 Combined with his social awkwardness, poor personal hygiene, and a weapon called “The Blame Thrower” The Spleen is one heavily equipped hero, and no one but Paul Reubens could have struck such fear into our hearts and nostrils as the Mystery Men’s strongest weapon. Treeman is a one off sketch from the ASDFMovie series by TomSka. It’s one of the simplest stories of a Super Hero activating his powers in the hopes to save someone who needs to be rescued. Unfortunately for Treeman, he might have one of the most useless powers imaginable, but it’s okay. I believe in him. At least he isn’t Super Bob from The Demented cartoon movie! But this doesn’t excuse him from being absolutely useless. When you’re in need, don’t count on Treeman to save your day. Unless the only way to save your day is to have a man turn into a rather fetchingly drawn tree, you will never find a use for Treeman’s powers. He’s an honourable mention as he’s not a true Super Hero… But I am sure someone out there is cheering for his mere existence. Well done, TomSka. You made a super useless super hero. Bob is a highly amusing character and anyone who has read enough Deadpool comics will be able to tell you exactly why. Amusingly, he does count as an Antihero, which is a form of Super Hero, even though he possesses no real powers of his own. This is a common complaint of many super hero characters, but nevermind, Bob has more important things to be concerned with than having some simple heroic powers. For example, Bob is basically Deadpools lackey. That’s dangerous enough, especially since when Deadpool and gang first meet Bob, they make him fly a HYDRA copter. Guess what happened? They all survived, but it was a mystery as to how. He’s kind of a bumbering idiot. It’s with this in mind that he’s one of the most affectionate sidekicks you’ll ever encounter. He’s fiercely loyal to Deadpool too. Perhaps he’s just scared for his life? We’ve seen some strange Super Heroes in our lifetime. But the existence of some of the poor, but brave souls above is testament that out there are some truly bizarre, truly deprived men and women who made these heroes come to life. Well, not all of them, some are pretty cool, but for reasons that aren’t easy to explain, they were given backgrounds of questionable content. Nevermind eh? At least they get to look cool. Sometimes. Not you Arthur, you look silly. OH GOD THE BAD PUNS!